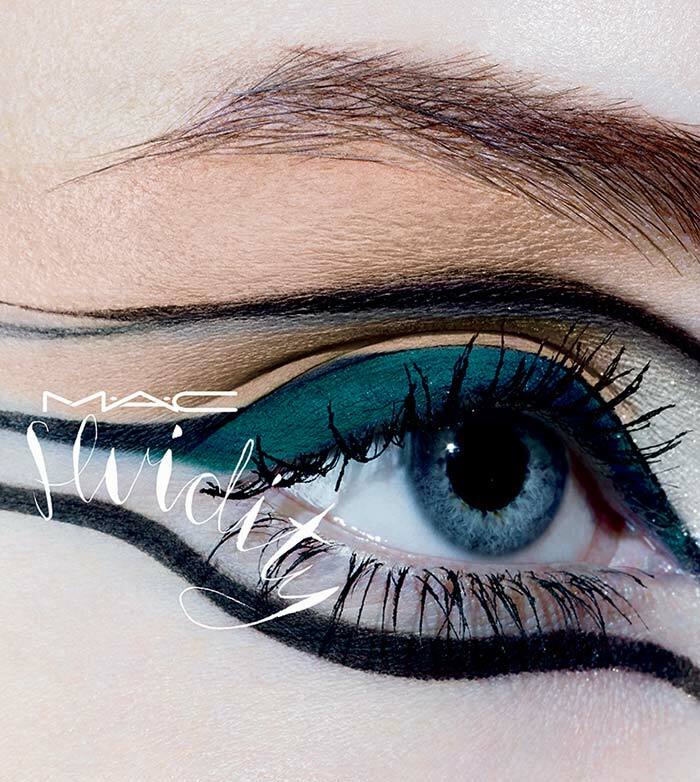 Generosity and velocity are the two words selected to describe the strategy of MAC Cosmetics throughout this pre-Christmas period. The iconic cosmetics brand has been generously outpouring us with a range of beauty products with the utmost velocity for already several months. On the one hand, we are more than contented with the energy and zeal of MAC but on the other hand, we are complaining: after all, in such an insane eclecticism orientating becomes so complicated a task. 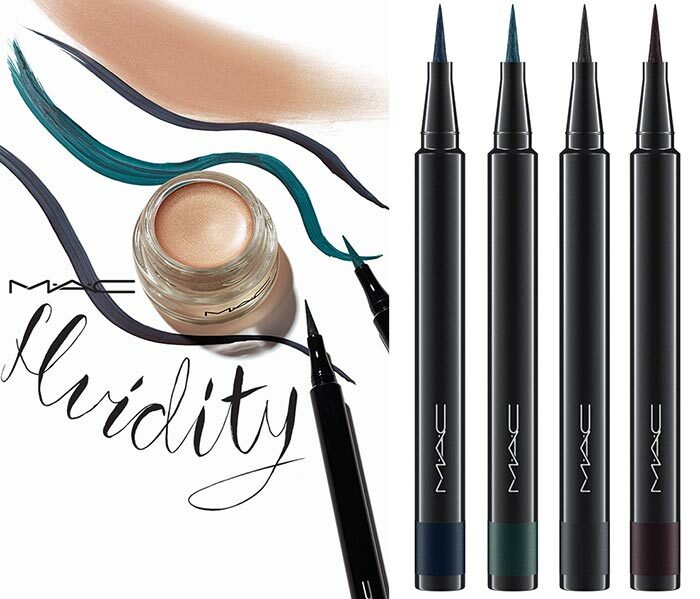 The company complements its beauty reservoir with the new MAC Fluidity holiday 2015 makeup line, which will be available only starting with December 10 online and in stores. The collection features highly pigmented fluidlines, creamy eyeshadows and an eye brush, that are pledging to make your eyes extremely defined and dramatic for the upcoming holiday season. Until December time is sufficient for you to find your bearings among these precious MAC offerings. But what is more important is that these sweet nothings will be permanent, ready to serve you even after the holiday season. This hand-sculpted professional brush consisting of a wooden handle and nickel-plated brass ferrules is intended for both powder and emollient product application. 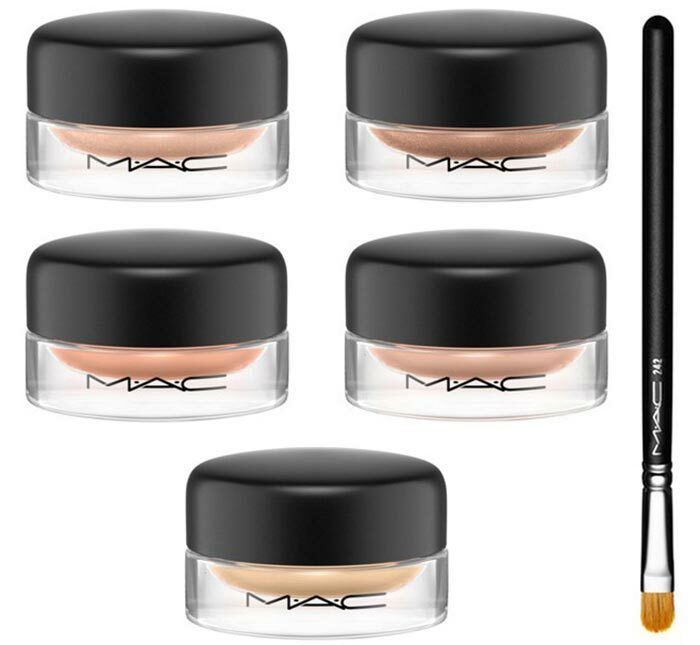 Its round-shaped edge will never fail in making your eyelids super polished and sleek. Get hands on this product and feel the whole pleasure of precise and flawless application!